Article 25, the London-based development and disaster relief charity, is working with a UK partner on plans for a new primary healthcare centre in the Sylhet region of Bangladesh. The development of the proposed centre is being led by the innovative east London community group, the Bromley by Bow Centre (BBBC), with Article 25 providing a full architectural consultancy service from its new South Asia regional office in Dhaka. BBBC has an established track-record in developing innovative programmes to address health and social exclusion issues and has built excellent relationships with the British-Bangladeshi community in the Tower Hamlets area of London. 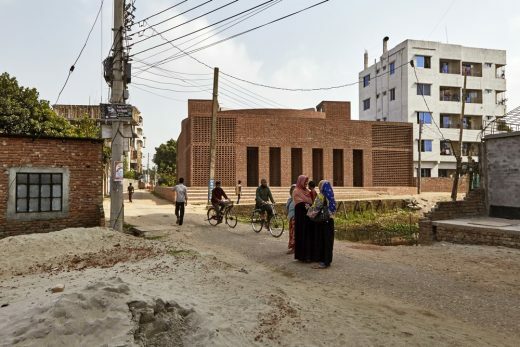 BBBC’s experience of working with migrant communities suggests a complex interconnectivity between the healthcare needs of many British-Bangladeshis and the issues effecting their places of origin in Bangladesh. 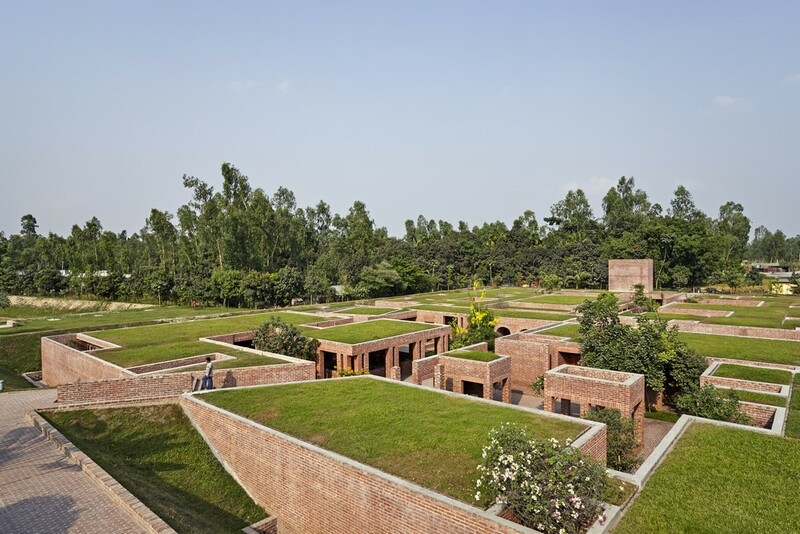 BBBC’s aim is therefore to use the proposed new health centre as means not only to improve levels of healthcare and awareness in Sylhet, but also to address issues experienced by those who travel back and forth between the UK and Bangladesh on a regular basis. 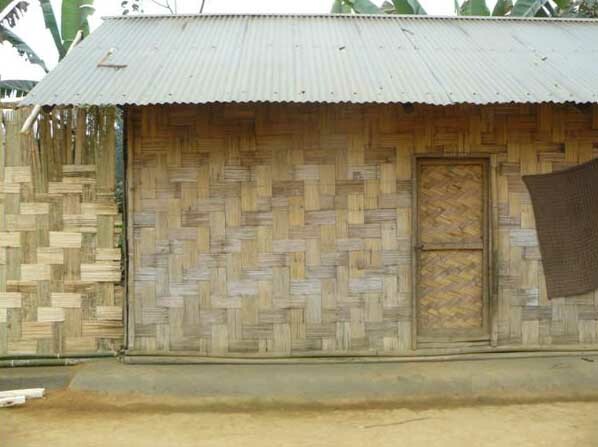 Hut with bamboo woven wall and screen in ethnic Monipur village within Juri district, Bangladesh. As part of the process of information gathering and site assessment, January 2010 saw Article 25 accompany a combined team of UK and Bangladeshi doctors, nurses and health advisers while they conducted a four-day temporary clinic within the district of Juri in Sylhet. Article 25 undertook an initial site survey and began assessing the suitability of various local construction materials and building techniques for potential use within the proposed building. While Article 25 does not seek to impose an imagined local vernacular, it does aim to support and reinvigorate valuable local skills where they are in danger of being lost. The Article 25 team found that while reinforced concrete structures predominated amongst many new commercial and residential developments, there was still significant use being made of adobe, bamboo and timber within outlying communities and for agricultural buildings. 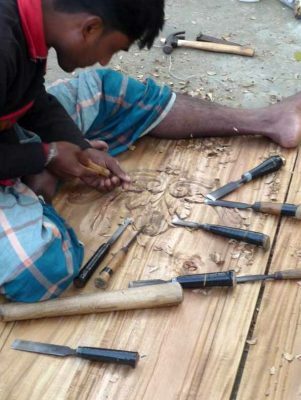 Of particular interest was evidence of highly skilled but fast-disappearing wood carving techniques, used for decorative panelling and ornamentation of architectural joinery. Traditional wood carving by craftsman in Juri district, Bangladesh. Article 25 emphasise consultation/participation as a key part of all community-based design processes and BBBC and Article 25 are currently planning to return to Sylhet in June 2010 to begin in-depth consultations with local stakeholders. Key priorities will be to develop a thorough understanding of local health and social issues and also to understand how Article 25 can contribute to a design solution that is fully sympathetic to local cultures and climate. 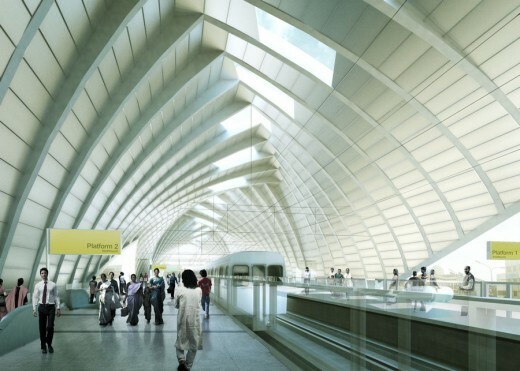 Fundraising for the centre will run in parallel with on-going consultations and design development, with an estimated start date for construction of early 2012. March 23, 2010 in Bangladesh.